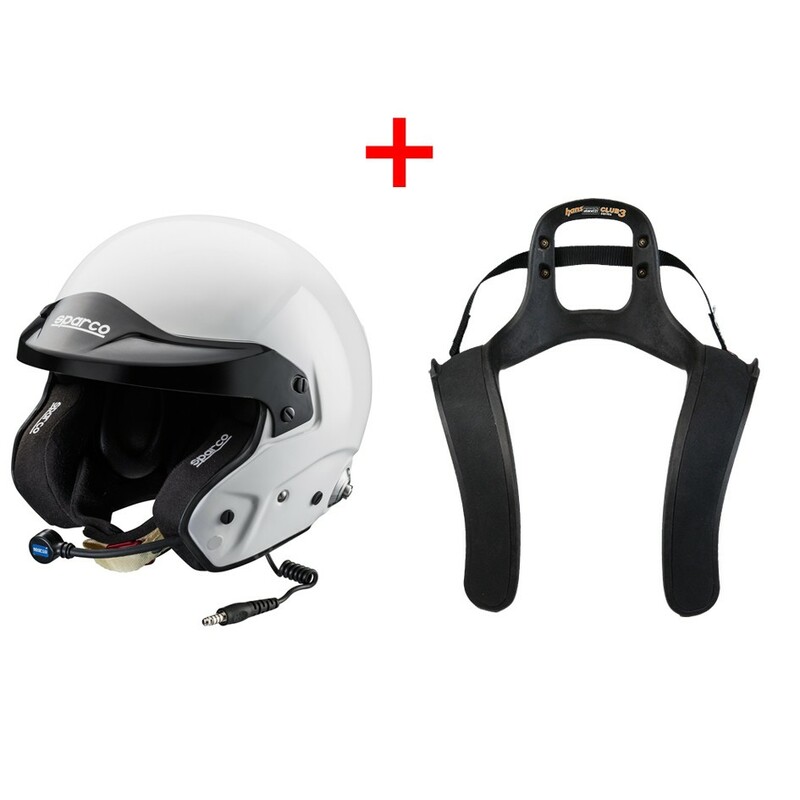 The PRO RJ-3i helmet has FIA 8859-2015 – SNELL 2015 type approval, and has a fibreglass shell reinforced with carbon-Kevlar. The shell and polystyrene padding are extra thick and are designed to ensure excellent ventilation. The interior linings can be removed, washed and repositioned. The PRO RJ-3i comes supplied with a professional communications system (adjustable carbon fibre boom, noise cancelling microphone, high quality speaker) and military grade connections (Nexus connector). The AIR PRO RJ-3i comes supplied with fitted Hans® clips. Available in 7 sizes (XS, S, M, M+, L, XL and XXL), and in white with a black peak.